It’s Monday which means it’s time for Crossroads Comics, crazy carnivines, and so much more! PMD Crossroads updated this past week drawn by user pokemon trainer Felix! In it we get an invigorating lesson from Edgar and Natalya in the art in extreme hide and seek. It’s looking to be a wild adventure so buckle up and let’s dive right into the latest comic updates! Adventures in genwun, Featuring Blastoyse All the Blastoyse you could ever want in one convenient post. Jentoh Adventures Seeing through snow is one of life’s many difficulties. Pokémon Alpha Monday mornings can be rough, so let’s all take a note from Maka and sand attack that Monday morning right in the face. PMD: Bridge of Invention At the end of what dungeon did he find that? PMD Crossroads Hide and seek has never looked so fun. PMD: Explorers of Life Said every college student ever. PMD: Past, Present, Future All around me are familiar faces. Pokémon: Rising Shadows So many questions, such little time to answer! Fans’ Blazing Red Nuzlocke No one mocks the Thunder Lord! Folded: A Heartgold Nuzlocke This is too much cuteness to dwell on such a sad moment. Golden Sun: A Sun Version Blindlocke Comic Enter everybody’s favorite female protagonist from Sun and Moon! It’s Just a Game An ominous ending to the chapter! Jet’s Black Nuzlocke Sometimes a trade is just what everyone needs. Nuzlocke Double Goldenrod montages always end in tragedy. Nuzlocke on Ice Don’t let that pokedex slip out! Of Life and Death Tutorials exist even in dystopias. Pi and Pea’s Nuzlocke Adventures A little insight into Zekrom’s backstory reveals an interesting piece of Unova’s history. Pokémon Emerald Double Nuzlocke Challenge Something tells me this wasn’t part of the plan. Pokémon Yellow Nostalgialocke Reckless mons must pay the consequences! Silver Linings: A Black 2 Nuzlocke Never doubt the power of Cody the Cinccino! He wasn’t named after the main character from The Rescuers Down Under for nothing! The Quest for Kyogre Stupid Rayquaza always ending those world destroying squabbles. The Pokedex Project Silent reunions with roses are telltale signs of the best kinds of friendships. The Sea Glass Fate does not appear to be on our hero’s side. Yonkoma Nuzlocke: Fire Red This is a fight they cannot lose! Milos from Home So it wasn’t just the one in the volcano! They’re dying everywhere! 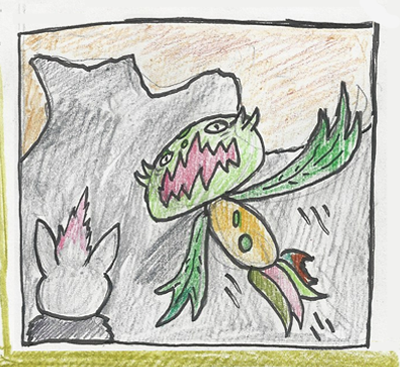 Pokémon Super Mystery Dungeon Comic And finally our main character has a name! PSMD: Team Red Rescue Don’t question the talking nuzleaf! You’ll give yourself away! PMD: Adventures of Might & Magic Tender goodbyes before a long journey are the best kind of heartwarming. PMD: Adventures of Team Sunflower Just look at those architecture shots! Such amazing scenery! PMD: Bonds of Hope An interesting tactic to defeat Dark Matter, though it doesn’t explain the existence of two Pikas. [PMD] Choosing Our Fate If Zelda physics are anything to go by, a fall from that height would mean certain doom. PMD, Dawn of Ages The story begins with a telling of the past. PMD Link Between Time Sleep deprivation doesn’t help you become the savior of the world after all. PMD: Lost Galaxy Ace answers your most burning questions! PMD- RAD Something tells me these two Axews aren’t as they seem. PMD: Reincarnate Don’t mess with the totodile or her friends. PMD Team Aquablaze So we’ve got our suspects, now we need to figure out whodunit. PMD: Victory Fire And they said you wouldn’t use calculus outside of college! Pebble Version Repairing floors is not cheap, even for Elite Four members. Pokémon Unreal Something tells me she doesn’t want to use the pokeball that she has. The Taken It seems Nate and Cubone have a lot more in common than we originally thought. Uranium Nuzlocke The most epic of battles! But first the creep blocking the door. Gabasonian Let it be known that even with a lack of a Battle Frontier, post games for Pokémon will never be easy. Loserdex Obviously you only go to the gym to get milkshakes and contemplate life’s mysteries! Obviously! Moképon This is why you don’t skip leg day, kids. Trainer Wants to Fight Pigtails are the best hairstyle. Bloom, a Pokémon Conquest Comic Finally the warlord and junior warlords of Illusio make their appearance! Flicker and Brotherhood Royal beginnings, shall we start? Genesis: A Gijinka Story I think I’m seeing double! Legends of Shadows Have they finally defeated their foes? 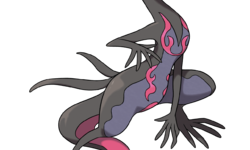 Pokemon – Murky Way Do I smell a familiar face as our main rival? Stupid Short Eevee Comic The heart break is strong with this one! The Stars Shine Bright If it’s any consolation that curly hair is a fashion yes! Trouble in Midst This means either something really good or really bad, and something tells me it’s more towards the latter. Want to see more? Be sure to check out the Pokémon Crossroads Comics Central for more comics and other great features! See any comics missing from this list that you think should be added? Send a email to [email protected] or shoot a message to user, NobleJanobii, with your suggestion! ← Registration for the May 2017 International Competition has begun!